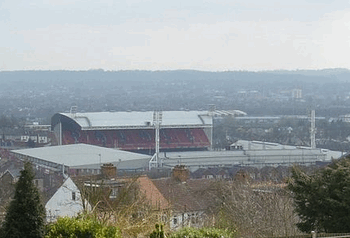 When West Ham United made the decision to leave Upton Park, their home ground for 112 years, it seemed as though someone also made the decision to start calling it the Boleyn Ground. No one is sure as to why, but there you go. The Hammers departure from a stadium that had opened its doors for the first time back in 1904 was seen as risky but necessary. By that point it was showing its age and the cost of updating it sufficiently was prohibitive. 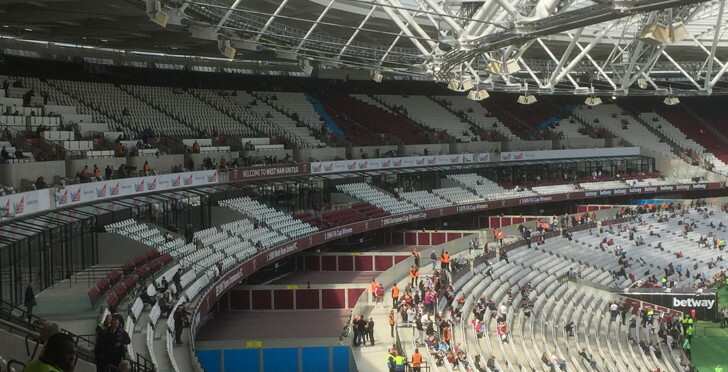 Thankfully there was a state-of-the-art stadium wanting some new guests to fill it, so West Ham's owners did their best to make sure that they were the ones to do just that. There was a not insignificant amount of controversy surrounding West Ham's bidding for the use of The Stadium at Queen Elizabeth Olympic Park, but that's a tale for another time. 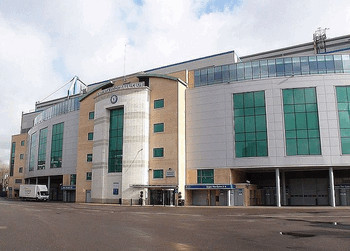 As the name above might suggest, the ground was built as the main venue for the 2012 Summer Olympic Games and the Paralympic Games hosted by London. 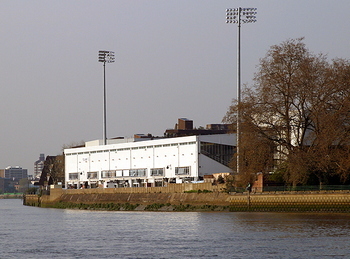 It was where the track and field events were held, as well as both the opening and closing ceremonies, the former being famously directed by Danny Boyle. 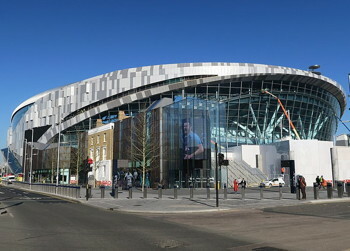 Renovations to the stadium took place between 2013 and 2016 in order to prepare it for use by West Ham, as well as for British Athletics to use when the Hammers aren't playing football. Despite rarely selling out games, West Ham were able to sell all 50,000 of their season tickets in the 57,000 seater ground ahead of the 2016-2017 Premier League season. The London Stadium is essentially a bowl of continuous seating, as is typically more common with grounds on the continent. 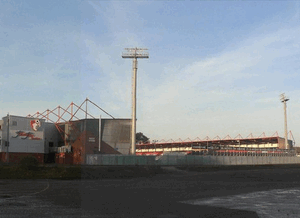 It's still split up into four distinct stands, however. 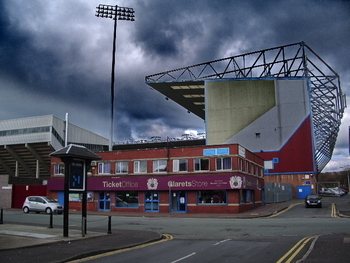 The Bobby Moore Stand is behind one of the goals and tends to house the most vocal of the club's supporters. 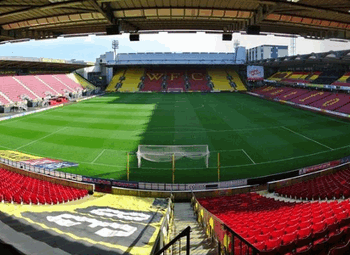 Away fans are situated in the South-West section of the Sir Trevor Brooking Stand, which is behind the opposite goal. 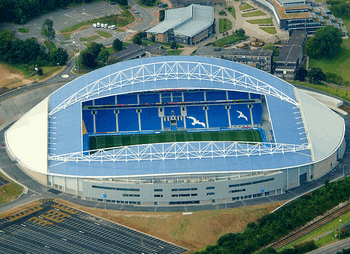 The East Stand runs alongside the pitch, whilst the Betway Stand is considered to be the main stand of the stadium. That's because it's where the majority of the corporate seats are located, as well as housing the players' tunnel and the changing rooms. All four stands are double tiered. Pricing for West Ham’s games is a complicated beast. The games are broken into categories A, B and C, with prices then broken down further depending on where you want to sit (there are 6 bands). 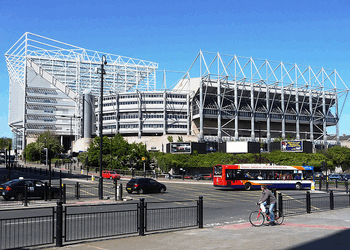 Whether you are a member of the supporter’s club or not will further make a difference. Once that’s been sorted you’ll then find the amount you pay for your tickets differs if you’re an adult, a concession or under-16. As with most clubs nowadays, West Ham favour people buying tickets through the club’s official website. You can also speak to the ticket office over the phone or you can drop in in person. The club wants to sell tickets, so if you want to buy them, and they’re available, there’ll be a way that suits your needs. There are booking fees to be aware of though, annoyingly. Train - Stratford Station is served by the Jubilee and Central lines of the London Underground as well as the Dockland Light Railway (DLR) and the London Overground. Stratford International is also on the Dockland Light Railway line as well as Southeastern High Speed 1 services. Hackney Wick, which will probably be slightly less busy than the other two options, is on the Overground network. Bus - There are a huge number of buses that run to the Olympic Park or Stratford. The 388, 308, 339 and D8 will probably take you the closest, but your best bet is to download an app like CityMapper and that will tell you exactly where to go. Car - You are almost always better off getting public transport than driving in London, but if you’re determined to get in the car then from the North you’ll want to take the M6 onto the M1 then at Junction 6A get onto the M25. Exit that at Junction 27 for the M11 then at Junction 4 take the A406(S). Take the A12 towards Central London/Stratford then the A106 before following the signs. 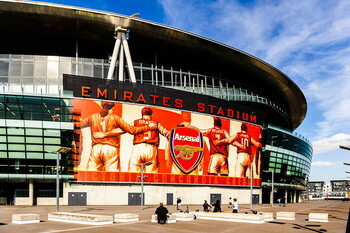 By Air - London City is the closest airport and will take just under twenty minutes to get to The Stadium by train. Heathrow is around 40 minutes away and Stansted is just under an hour. Taxi - Getting a taxi from Stratford International to the ground will cost just over £15 and shouldn’t take longer than twenty minutes. There are car parks at The Olympic Park, but they’re not cheap. We'd seriously recommend using Just Park or other advance booking if you plan to drive. About twenty minutes walk from The Stadium is this hotel with fourteen guest rooms. There’s a free continental breakfast available as well as Wi-Fi throughout, but the location is this place’s main selling point. More details. The ibis hotel chain is somewhat basic compared to its more luxurious rivals, but it’s still worth considering staying in one. 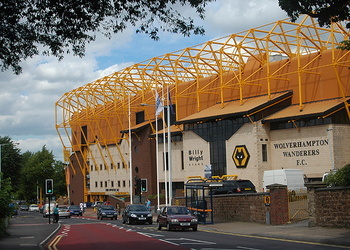 The Stratford branch is around twenty five minutes walk from the ground and has a restaurant, a bar, self-parking and free Wi-Fi. More details. 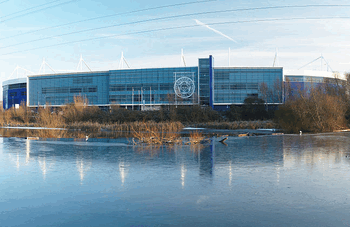 The Holiday Inn Express in Stratford is just under twenty minutes walk from the Olympic Park and has 153 rooms. There’s also a restaurant, a bar, a free continental breakfast, self-parking and Wi-Fi. More details. Located in nearby Hackney Wick, this brilliant canal-side bar isn’t exactly sports orientated but it's still worth visiting. Craft beers, bar food and a great atmosphere is the order of the day. Bow is one of East London’s most characterful areas and The Eleanor Arms is one of its most fun pubs. With quiz nights, jazz nights and traditional pub games all on offer, you’ll have a cracking knees up just like Mother Brown in here. The Coburn Arms is a member of the Youngs chain of pubs, so you know what you’re going to get. Tasty food, decent ales and plenty of TVs dotted around the place to watch a bit of sport on. All of the usual facilities for buying food and drink are present in The Stadium in the form of 35 catering outlets around the ground. There are also just shy of 1000 toilets, if you like that sort of information. Basically, the modernity of the ground means that anything other than a top-notch experience will be something worth complaining about. The Academy - Named after West Ham's academy that has produced some exceptional talents over the years, this hospitality experience is one of the exclusive bars and combines the relaxed nature of a bar or pub with brilliant views from seats on the halfway line. The Londoner - If a relaxed atmosphere is what you're wanting then The Londoner will be for you. Seats in the West Stand are yours to take up after you've enjoyed pie and mash in the lounge before kick-off. It's all very East end in here. The Forge - Named in honour of the Thames Ironworks that West Ham rose out of and part of the Premium Dining experience, The Forge is where you'll see moments of excitement from both the Hammers and Queen Elizabeth Park's history. You'll have a private table, a 3 course à la carte menu and access to a cash bar. The Royal East - A bar and restaurant, The Royal East has amazing views of the pitch from within the lounge itself. 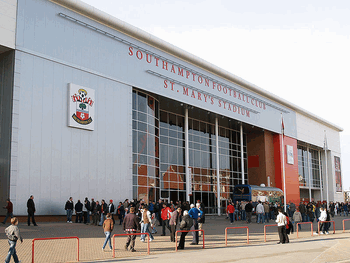 You'll enjoy a three-course buffet meal, VIP seating in the West Stand and complimentary drinks at half-time. As part of the Platinum Experience this is the best of the best. 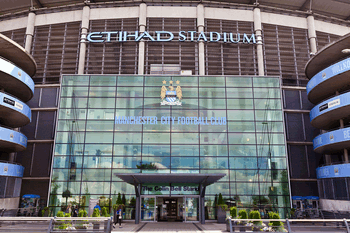 The London Stadium has a number of excellent rooms and lounges that are used for hospitality packages on a match day. 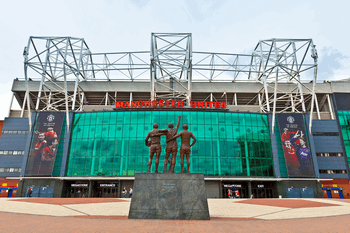 On non-match days, however, they are mostly open to be used by people hoping to hold conferences, meetings and more. The Forge, The Academy, BM6 and The Arnold Hills can all host business meetings with breakout rooms, celebrations or other eventa that require a suitably fantastic setting. Tours run every weekday, from 10am to 3pm. On Saturday's that moves to 10am to 3.30pm and on Sundays it's 10am until 3pm. Obviously that excludes match days when tours still run but things are a bit different. If you book in advance it's £17 for adults, £10 for children and £14 for concessions. If you turn up on the day it's £19 for adults, £11 for kids and £16 for concessions. There are also VIP multimedia tours if you really want to push the boat out, but they will cost you more than a matchday ticket at most clubs. West Ham have never won the country’s top division, but they finished 3rd in 1986 and they have won the second-tier division on two occasions. They won the European Cup Winners Cup in 1965 and reached the final of the same competition eleven years later, and they won the UEFA Intertoto Cup in 1999. 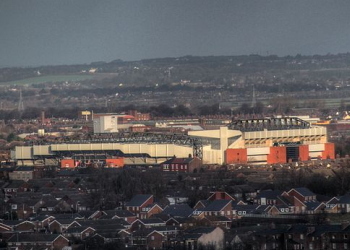 They are also one of only eight clubs to never have fallen below the second tier of English football and have actually spent 58 of their 90 league seasons in the First Division. The Hammers have also won the FA Cup itself on three different occasions and in three consecutive decades. They picked up their first one in 1964, their second in 1975 and they completed the trophy laden hat-trick in 1980. They were also minutes away from picking up a fourth in 2006, only for Steven Gerrard to fire Liverpool back into the game. 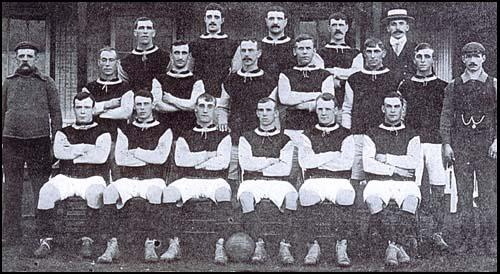 West Ham United Football Club was formed in 1895 as Thames Ironworks, not taking their current name until the club was re-formed five years later. 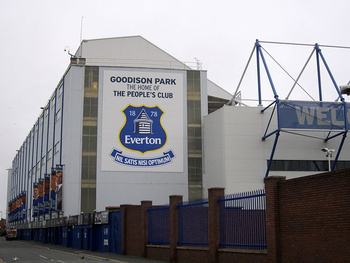 They joined the Football League in 1919, gaining promotion to the top-flight just four years later. That was the same year that the Hammers competed in the first ever FA Cup final at the old Wembley Stadium, a game that they went on to lose 2-0 to Bolton Wanderers. They would go on to win the first ever Football League War Cup, however; a competition that was played during the Second World War instead of the FA Cup. West Ham are extremely proud of the fact that three of their players played an important part in England’s 1966 World Cup win. Bobby Moore captained both his club and the national team, whilst Sir Geoff Hurst and Martin Peters scored both of England’s goals. Recently they made a decision to bring Slaven Bilic, a former player, back to the club as manager and he has led the team to numerous firsts, including victory against Liverpool at Anfield for the first time since The Beatles were top of the charts. He was sacked in 2017 after a string of bad results, but even taking that into account he left with a record of 1.33 points per Premier League game, which is better than any Hammers manager in history. The history of West Ham at The Stadium at Queen Elizabeth Olympic Park is yet to be written, but that doesn’t mean that there’s nothing to say about the place. From the stunning opening ceremony at the 2012 Olympic Games through to the same competition’s, frankly weird, closing ceremony; The Olympic Stadium was the jewel in the crown of London’s hosting of The Greatest Show On Earth. 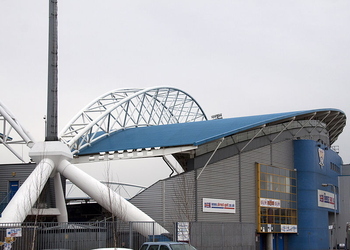 Preparation for the new stadium began in the middle of 2007, with construction not officially starting until May 2008. 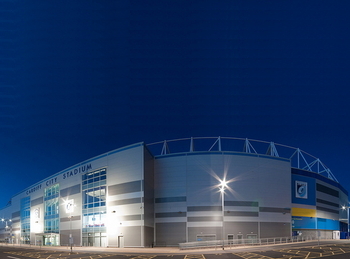 It opened in 2011 but didn’t host an official public even until 2012 when the National Lottery organised a celebrity running event that finished at the stadium. There is a retractable set of seating in the lower part of the ground’s seating, which can be rolled forward or backwards depending on whether the ground is going to be used for athletics or football. 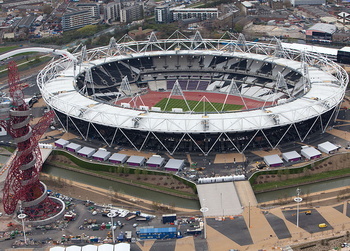 That is because West Ham will be sharing use of the ground with British Athletics. 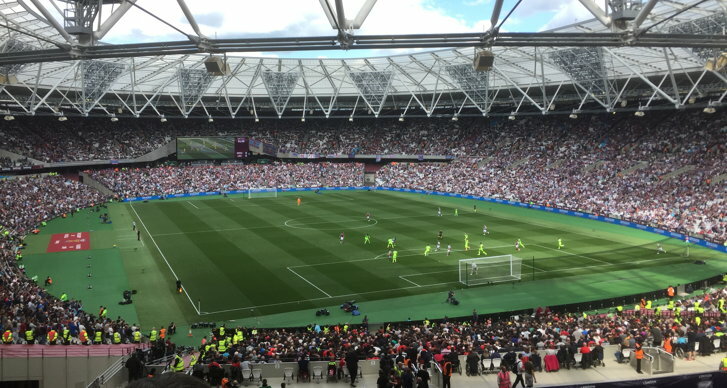 When West Ham moved into the stadium at the start of the 2016-2017 season it had a capacity of 54,000. That has been increased to 57,000 but is unlikely to be increased further anytime soon.